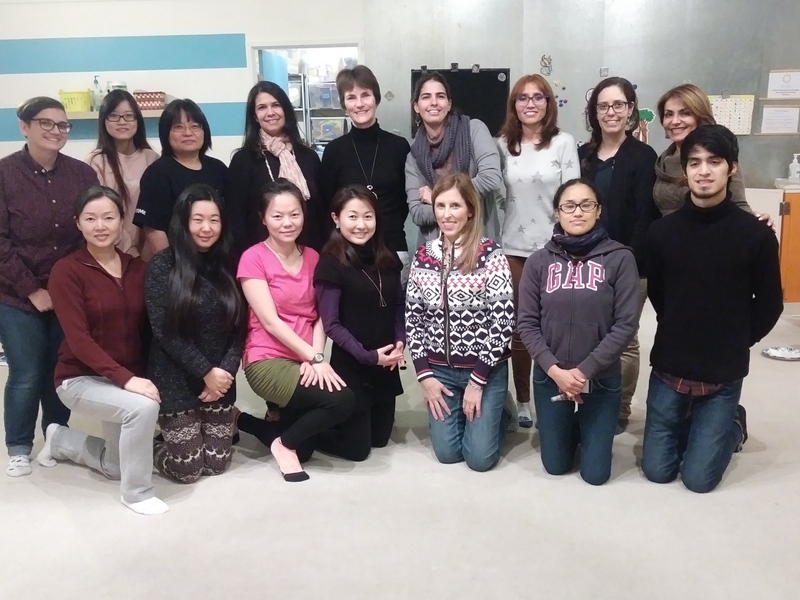 Our staff are a diverse group who come from all over the world including Chile, Peru, China, Colombia, France, Japan, India, Germany, Puerto Rico and Taiwan. Many have degrees in language and education and years of experience in teaching. Many are parents themselves and experience personally the joys — and challenges — of raising bilingual children. They all have a passion for sharing language and culture with children and their families. Get to know our amazing teachers by reading their brief bio below. To schedule a free trial class, use coupon code FREETRIAL. Or schedule a tutoring below and purchase our packages for in-person and online classes. Book your first appointment using the generated code for your package and we’ll book the recurring appointments for you. Melissa was born in Minnesota and grew up in Gig Harbor, Washington. She speaks English and some Spanish. Melissa has a bachelor’s degree in Psychology. She minored in Spanish and got her English teaching certification while studying at Western Washington University. She has taught students of various ages in Australia, Mexico and the United States. Melissa enjoys listening to records, playing soccer, hanging out with her two cats, running, biking, taking pictures, and having good conversations with friends.